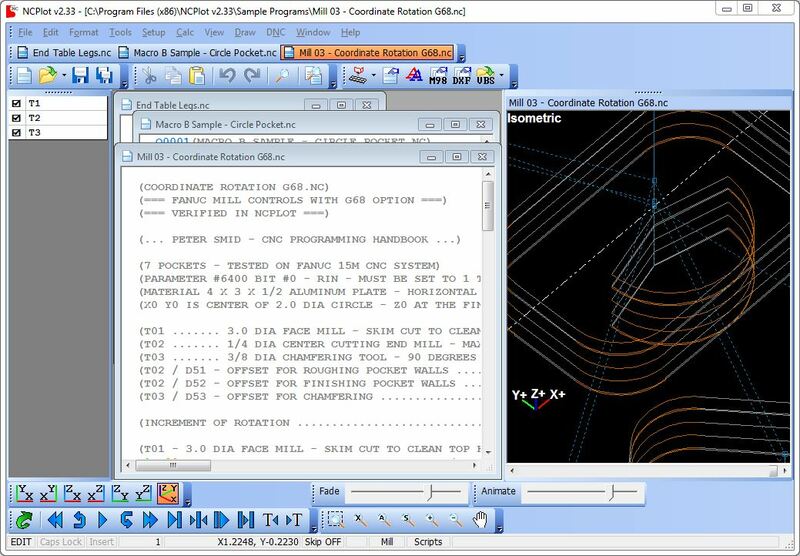 NCPlot is an editor and backplotter for 4 axis mill and 2 axis lathe G-Code programs. This software combines editing, formatting and translation tools that are useful for CNC programmers with a backplotter for instant G-Code verification. You may download and try NCPlot free for 15 days. After this trial period has expired, the software will stop functioning and you must purchase a license key to continue using it. For a printable version of the NCPlot help file, you can download the NCPlot Manual in PDF format. There are no beta versions available at this time. Address Replace: Good for changing axis names, A to B, etc.